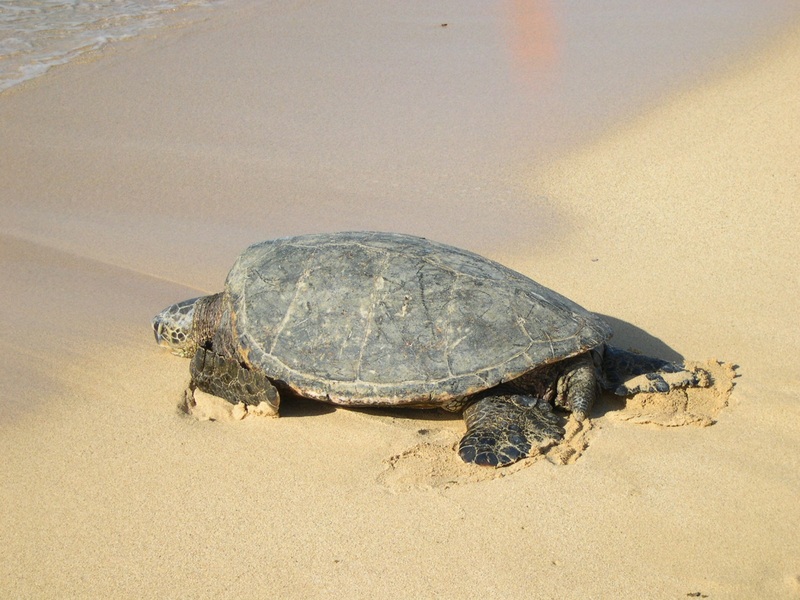 A frequent visitor to our shores is the green sea turtle. You can see them in the shallows and coves around the island. Occcasionally they come up on the shore to rest. 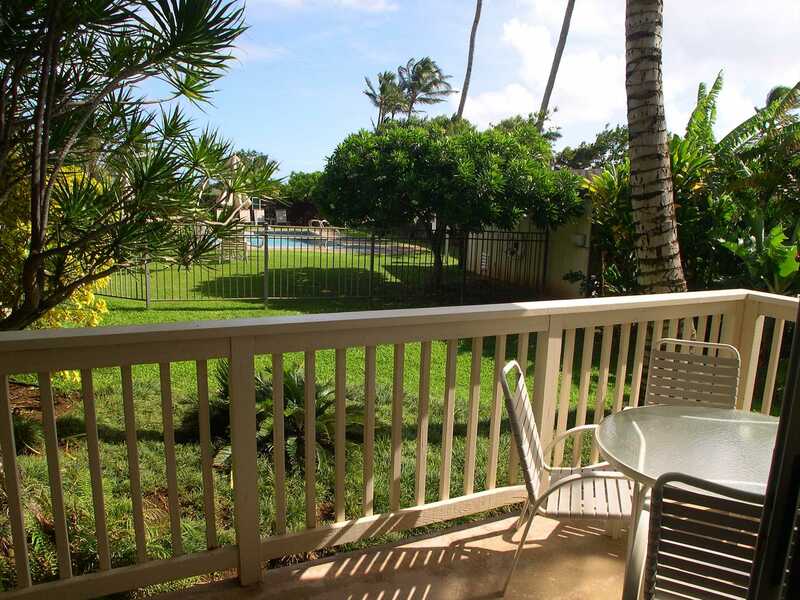 5 min walk to Poipu Beach! * Base rate is for 4 people, maximum 5. 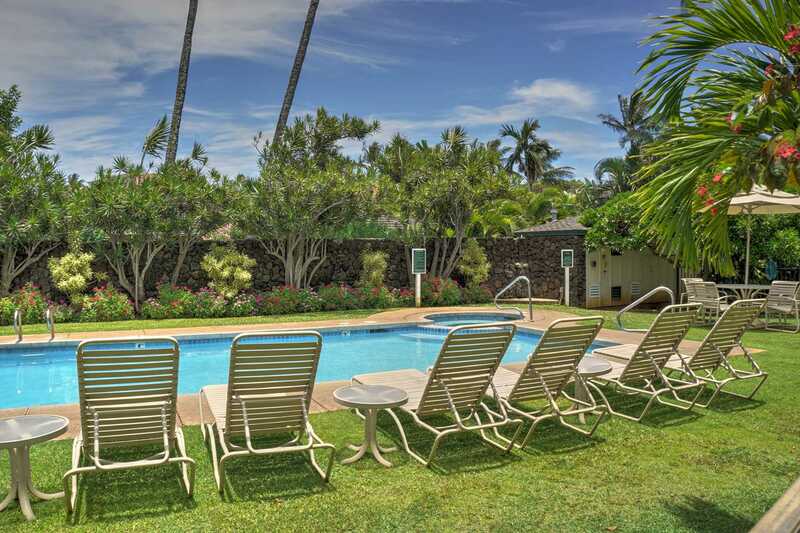 Please view "RATE NOTES"
MALA PUA CONDO ("garden" in Hawaiian) is nestled in abundant tropical greenery with two lanais to relax and enjoy the island pace. 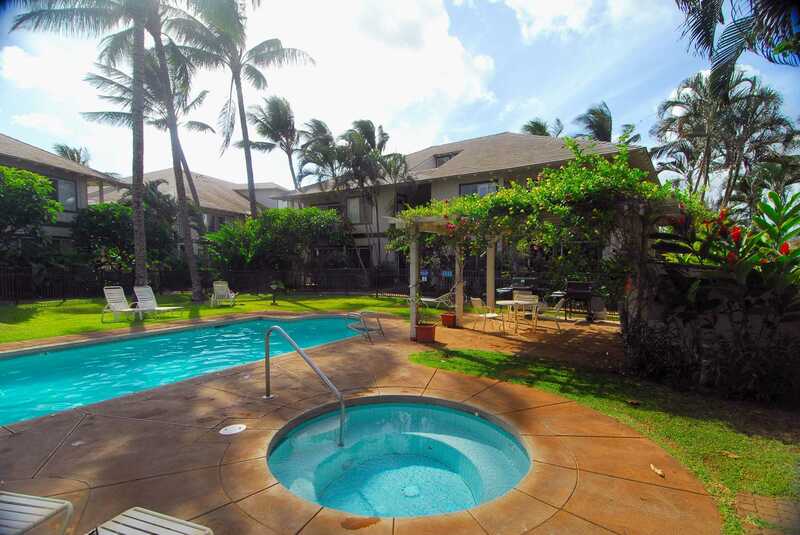 This easily-accessible ground floor condo has all the comforts of home including central air conditioning, plus it is just steps to the pool and a short walk to wonderful beaches. With generous natural light and verdant foliage, the living room offers two sofas, a wicker desk and entertainment center. 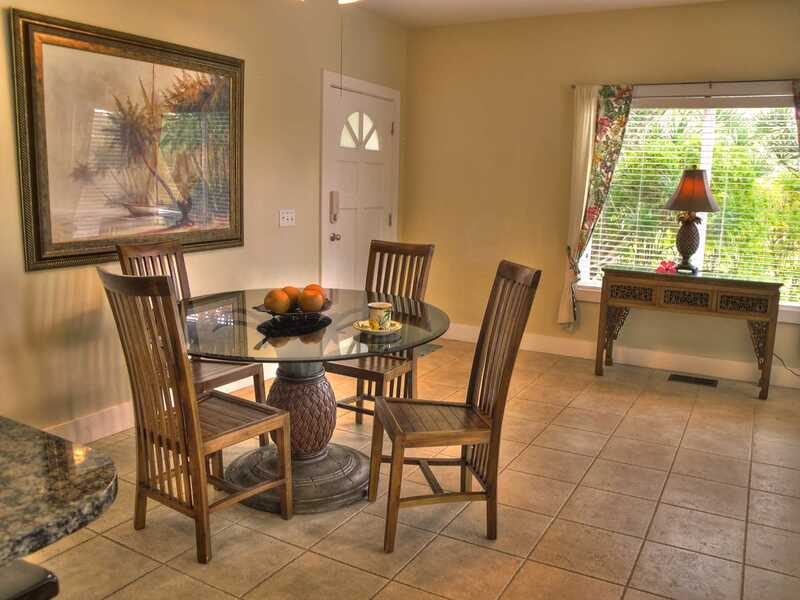 Dine comfortably at the fanciful "pineapple" pedestal table; plus casual seating at the breakfast bar. 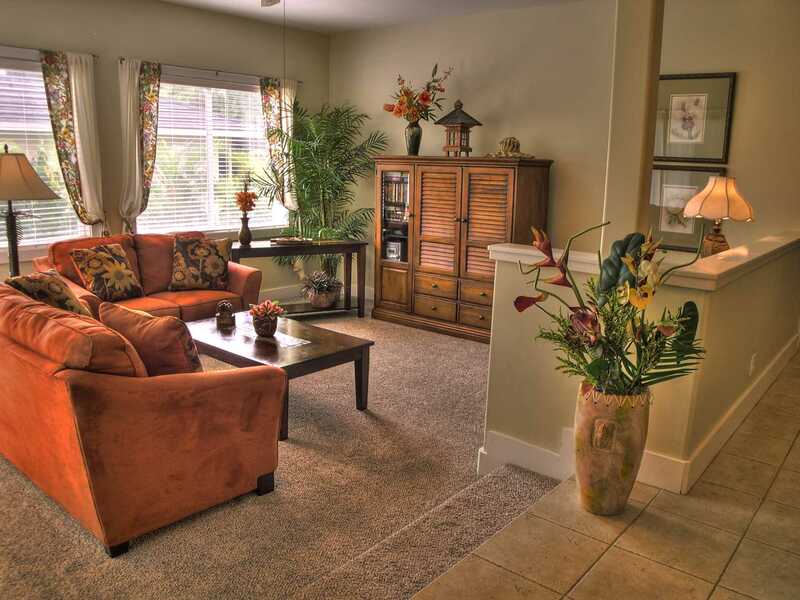 Central A/C throughout the home plus ceiling fans in each room for maximum comfort. 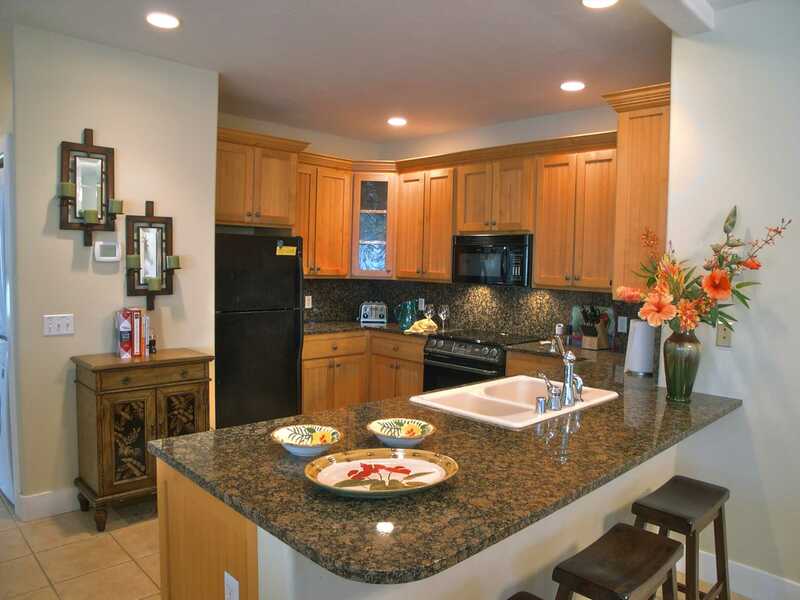 The deep rich granite counters make an inviting stage for whipping up culinary creations in the fully-equipped kitchen. 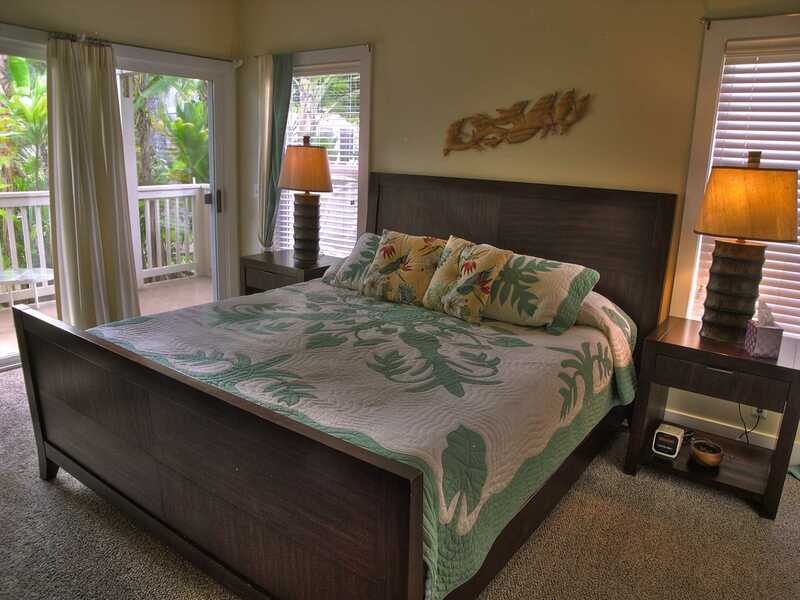 The master suite has a king bed, TV and private lanai. 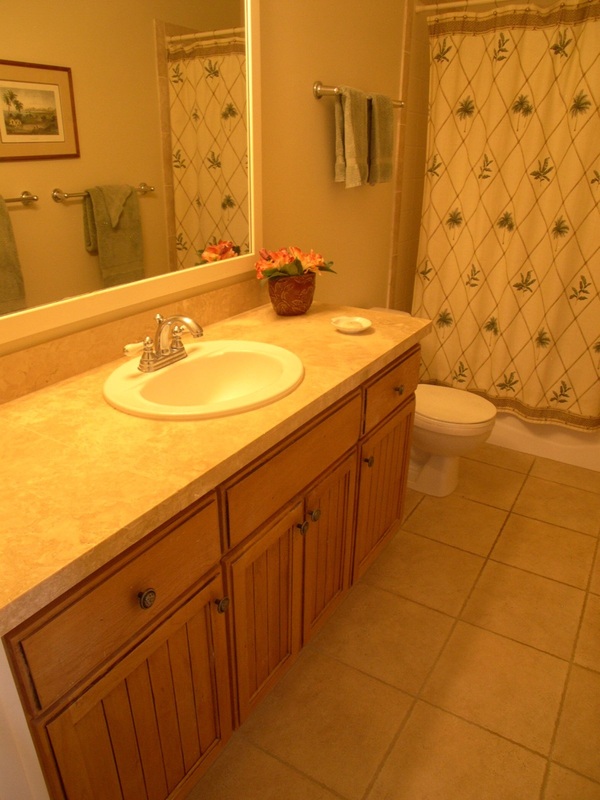 The luxurious marble bath with twin sinks boasts a large walk-in shower and deep jetted tub. 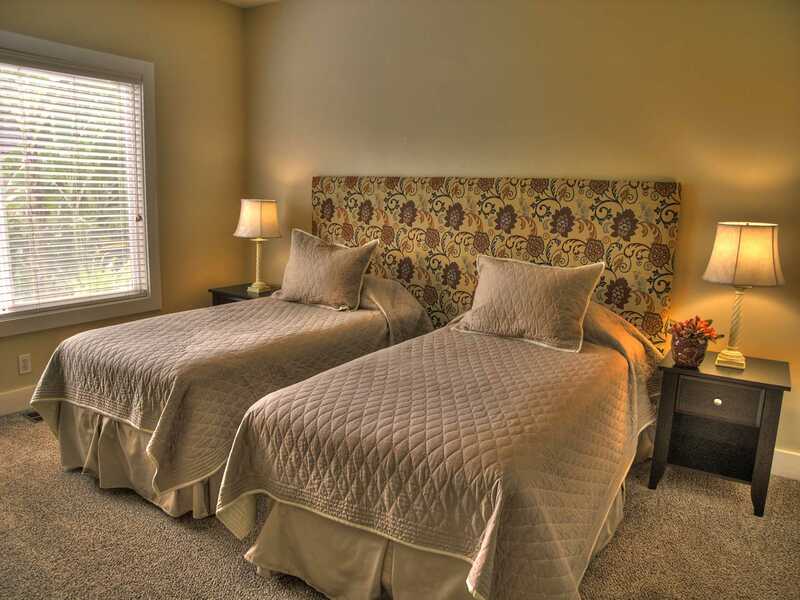 The guest bedroom has 2 twin beds that can be converted into a king-sized bed. 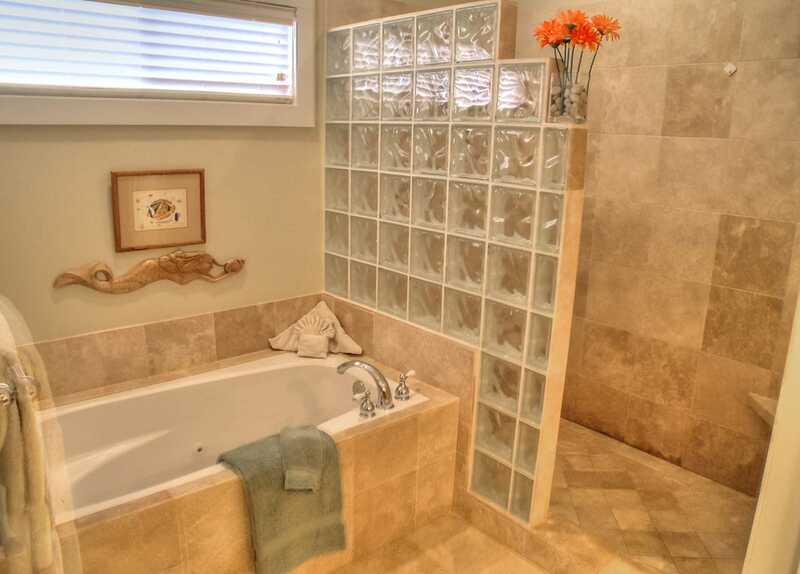 A full bath with tub/shower combo is across the hall. 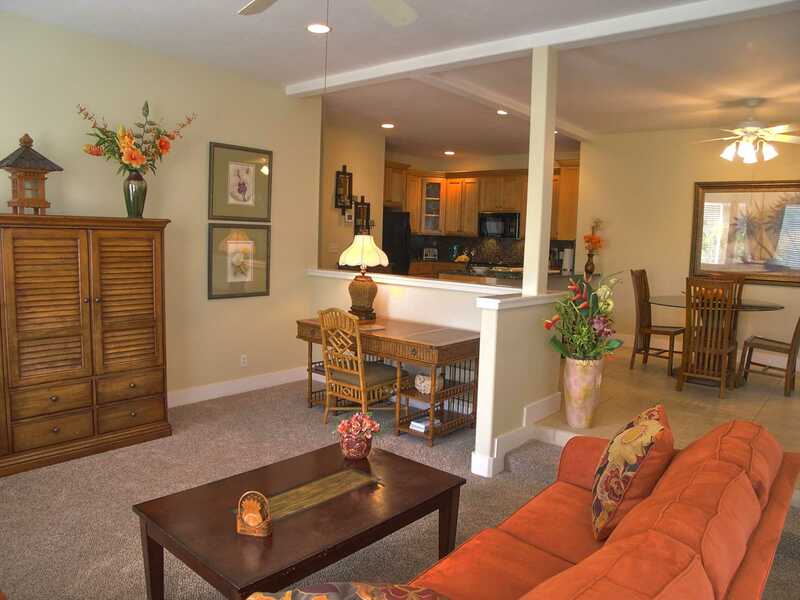 Premium channel TV service, high speed wireless internet, DVD/CD players and private phone are provided. Beach towels, mats, beach chairs, cooler and assorted gear are available for your use. Complimentary Play N' Pack for babies provided upon request. 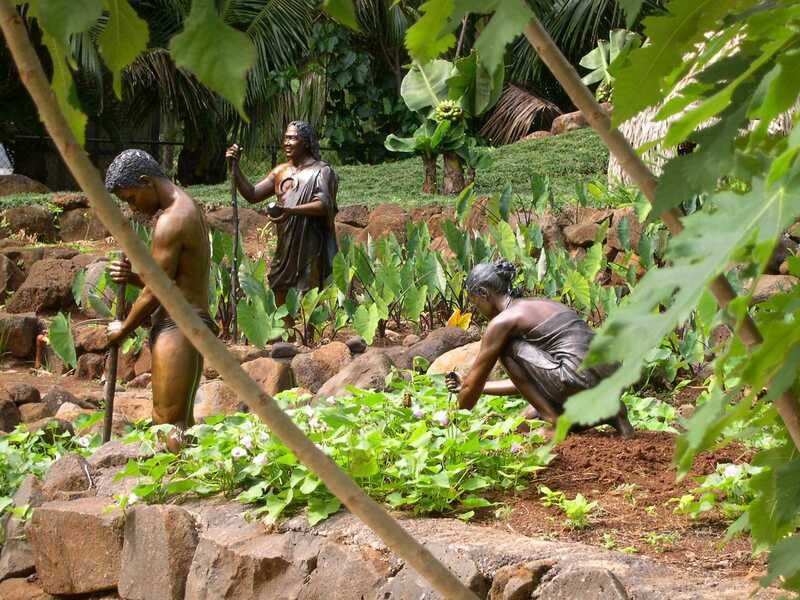 The prestigious POIPU-KAI RESORT situated on the South Shore of Kauai, features 70 acres of tropical gardens. 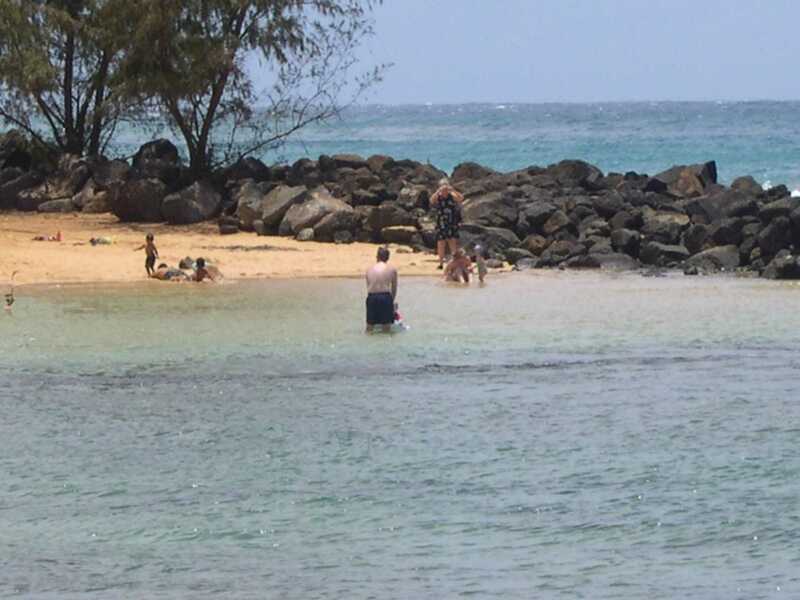 It is just a short walk through the resort grounds to Shipwreck beach or Poipu Beach Park (a snorkeler's paradise). 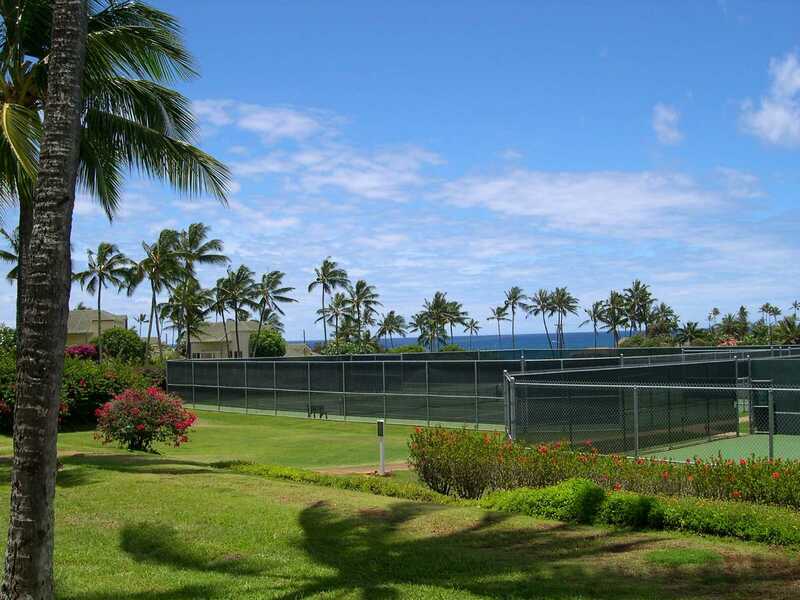 The resort has nine tennis courts. There is a shop for all your tennis needs, including rentals. 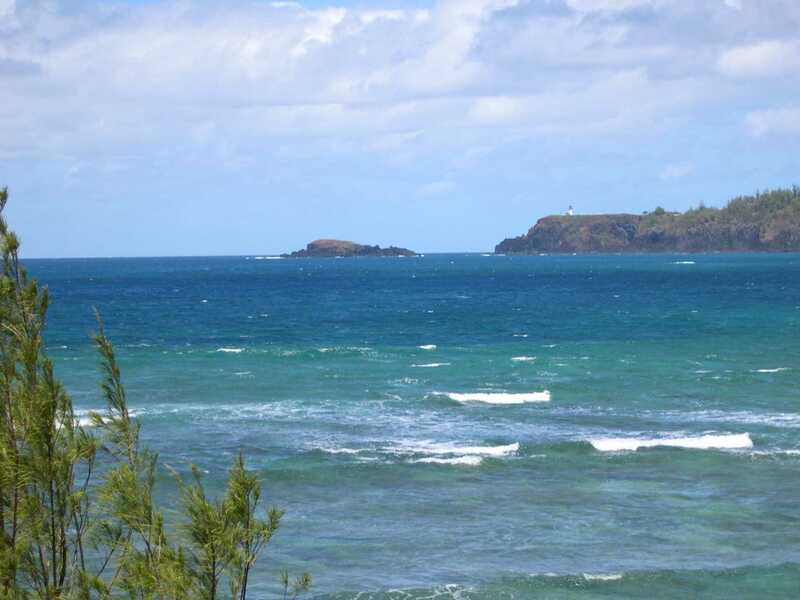 KAUAI BEACHES: Poipu Kai resort fronts on two well known beaches... Shipwreck Beach and Brennecke Beach, each an excellent bodysurfing beach. 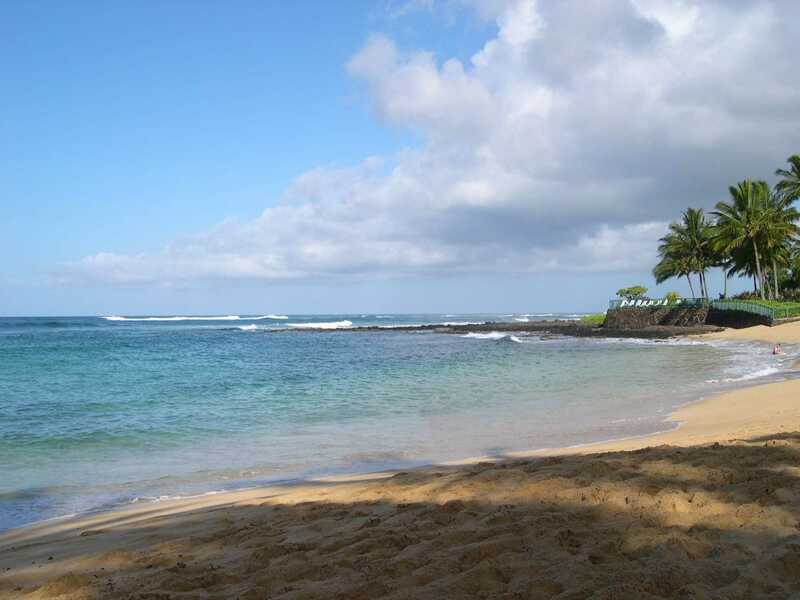 Next to Brennecke beach is Poipu Beach Park, rated the best beach in North America for four years running. 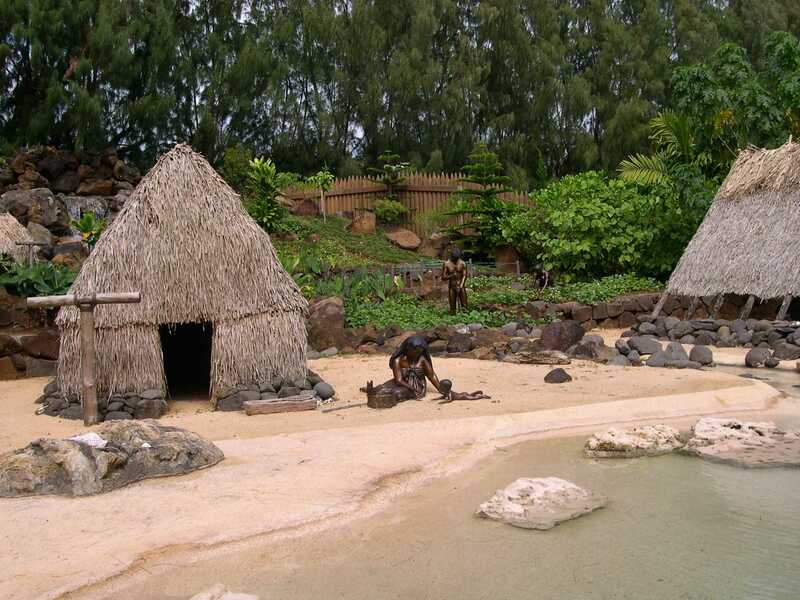 It features a sheltered "baby beach" for toddlers and parents, a fully equipped children's playground, and a great snorkeling and swimming beach with every variety of tropical fish usually only seen in aquariums. 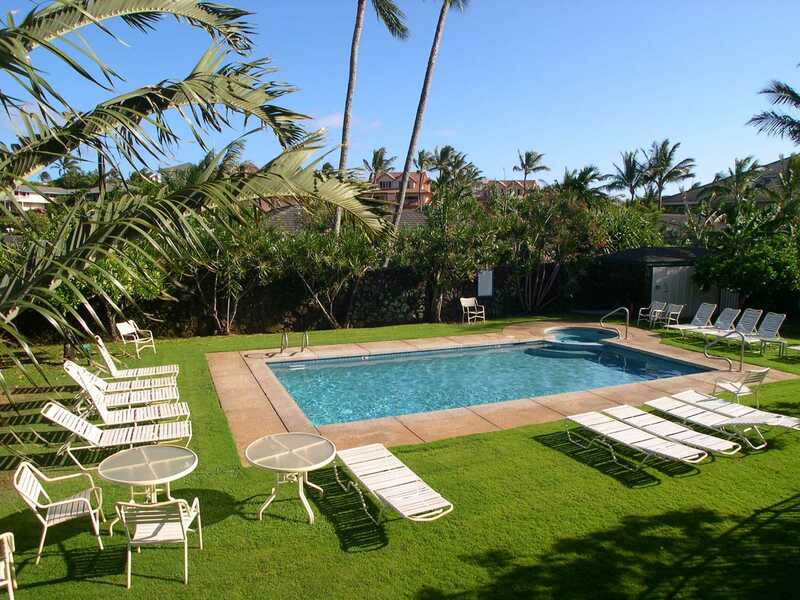 Surfing is also an excellent option at Poipu Beach with a surf shop and board rentals just across the street from the beach. ISLAND ACTIVITIES: For the shoppers there are some very nice boutiques in the Poipu Village shopping center just West on Poipu Road. 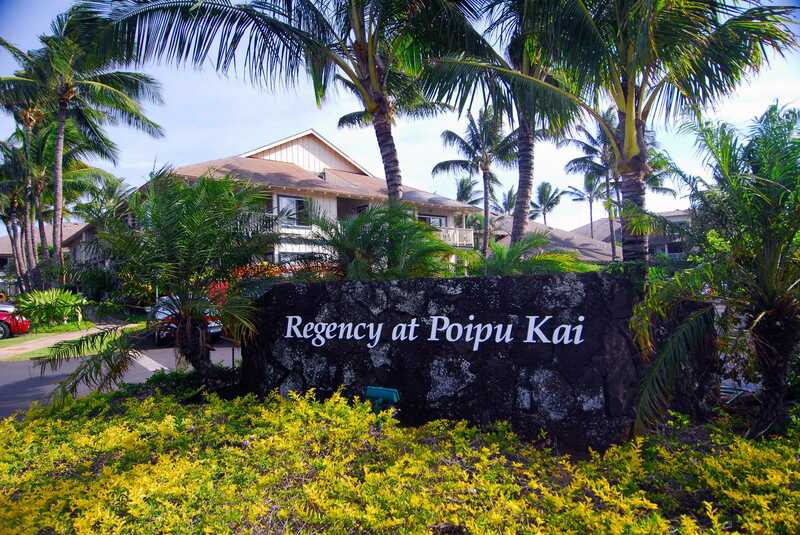 There are also boutique shops at the surrounding resorts, e.g., Hyatt, Sheraton and the Marriott. Food shopping is nearby at the Big Save supermarket in Koloa, just a couple of miles up the bypass road. 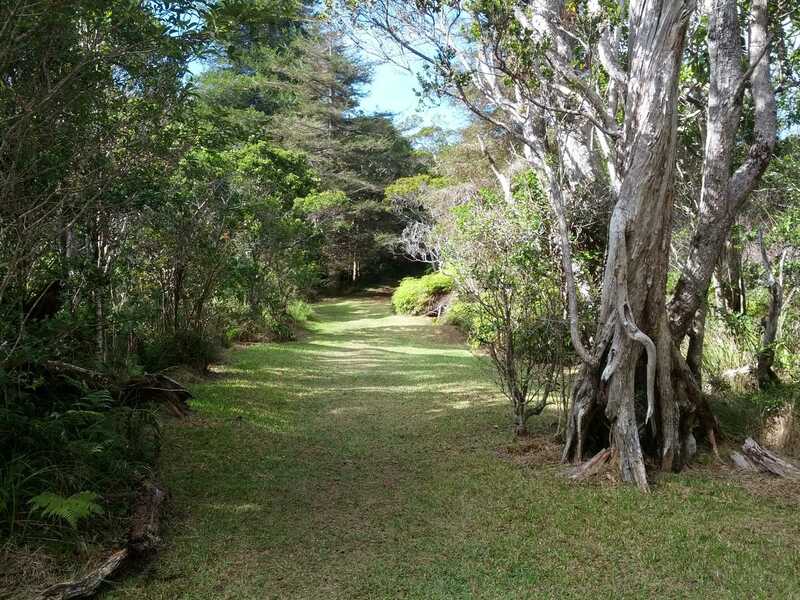 If you are energetic and want some exercise Kauai offers a great series of hikes and drives, some with breathtaking views. 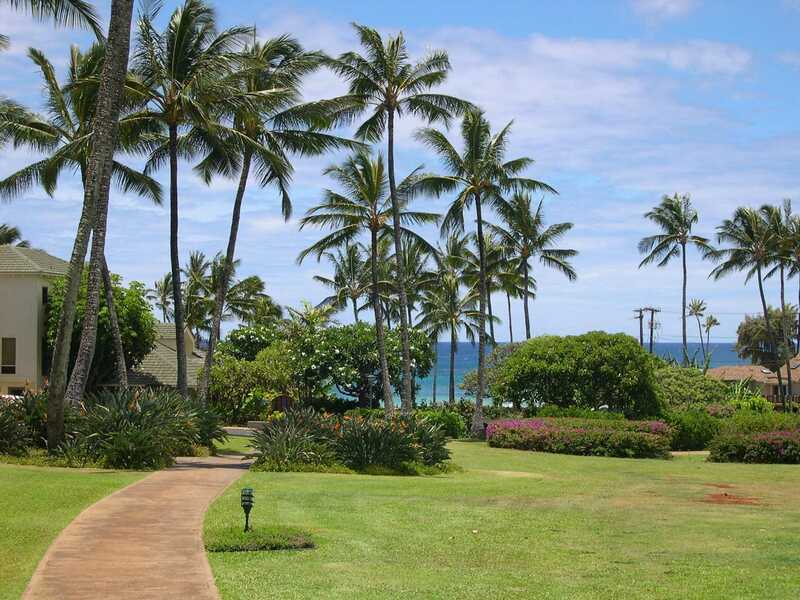 Try the hike along the beach and cliffs east past the Hyatt. It is about 4 miles and the reward is a wonderful white sand beach. 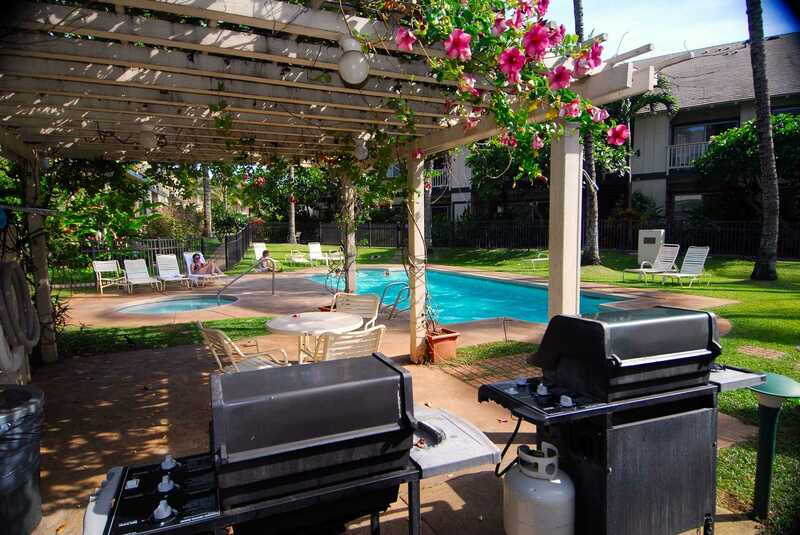 Also refer to the Kauai Guide Book located in the house for more fun things to do.